If you are anything like me, you stand at your closet each morning and think - "what should I wear?". I "stress" about what to wear pretty much no matter what the occasion - whether I am going to work or just running errands. 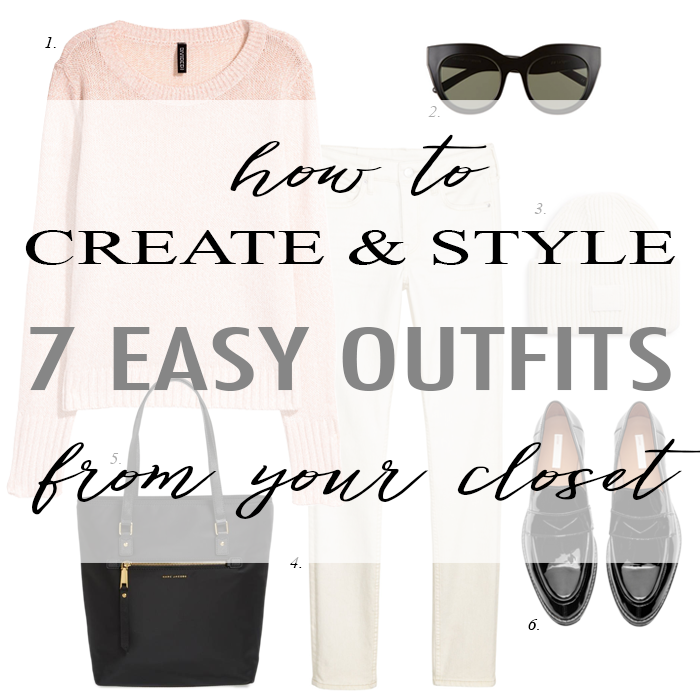 So, to help you (and myself), I have put together these 7 different looks - that could probably be "shopped" from your closet. If you want to make your life a little easier (like I am trying to) - just use each of these as a day-by-day guide for what to wear. I really like this sweater which is a twist on the traditional Henley shirt. This cozy cardigan that is under $50. I like this “lime stripe” cardigan - it also comes in traditional colors. This floral dress makes me think of spring, and it's under $30. This striped “boho” swing dress - looks comfy for summer (and possibly a great cover-up). I really like this safari-inspired ruffle hem pencil skirt - and it's on sale. This pink utility jacket would be perfect for spring weather - and it's 40% off. A cute ruffle tie waist dress that is 40% off. This cozy chenille sweater I shared yesterday (in my try on session) is available again and only $20. These cozy UGG slippers are 50% off. This twist hem tee is on sale for under $20. I kind of like these silver sneakers that are 40% off. If you are looking for outfit ideas - be sure to check out my inspiration board HERE. Great outfits - I love the blush pink blazer. I am drawn to all kinds of dressier pieces yet I have no need for them in my current lifestyle. Ugh!! oh man, loving all of your choices! Outfit 3 is my favorite. These are some truly great ideas, Lisa. 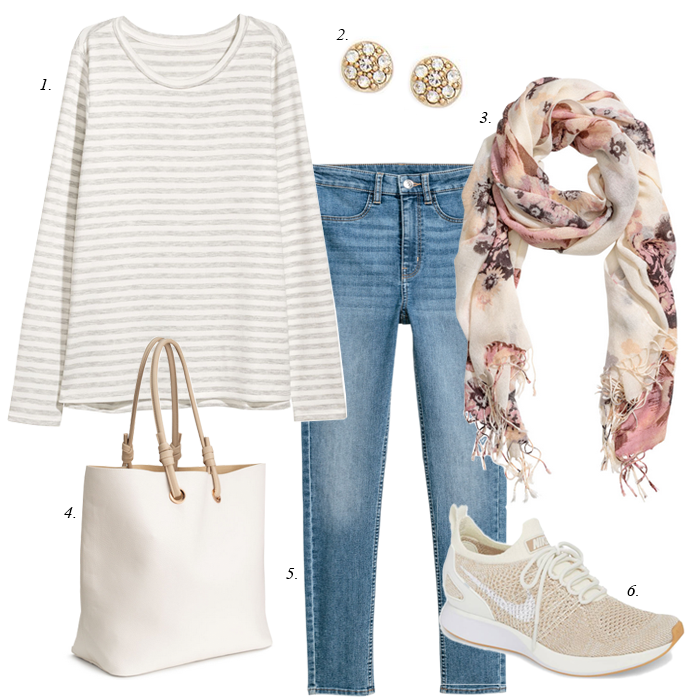 I am loving the soft color palette! 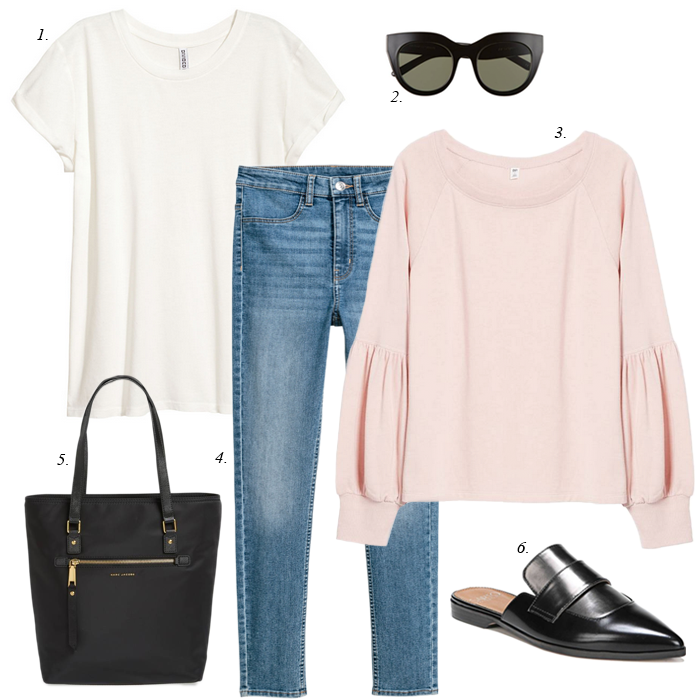 Outfit five is one I would wear in a heartbeat. Thanks for linking up with Fabulous Friday!